When buying gear one can spend hours searching for the right item, unfortunately with gloves you tend to spend more than you want and less than you should. 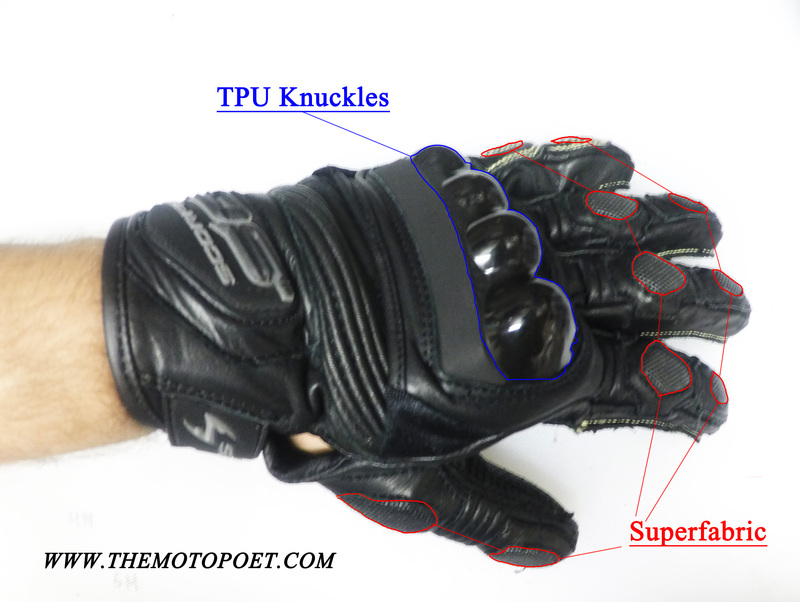 Of course, depending on the type of riding you do, the type of glove you buy will differ. 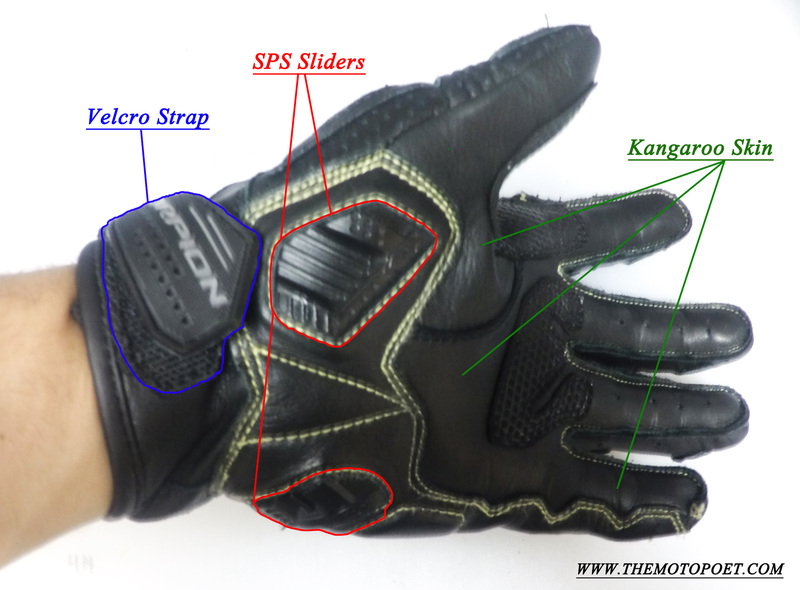 The SGS is a sport glove made by American company Scoprion and is withing the sub-one hundred dollar mark at $79. It features a combination of leather, kangoroo skin, Superfabric, and Kevlar, the perfect mixture of materials to compose a very durable glove.The glove comes in 5 different colors: black, blue, neon, red, and white. Scorpion SGS – Click image to enlarge. The plam of the hand is wrapped with kangaroo skin which promises greater abrasion resistance than traditional leathers while offering a more comfortable feel. Close to the wrist you’ll find two vented SPS Sliders, designed to protect your scaphoid bone and prevent your glove from getting caught on the pavement in case of a fall. The sliders are held together by a second layer of lether which extends down the outside of the palm and up your pinky or little finger. Kevlar protective internal palm patches are out-stitched in order to eliminate interior seam feel. All seams are double stitched. Scorpion SGS Palm – Click image to enlarge.